Grew up with Ulker Sports Club Istanbul (Turkey) youth teams. Signed for the 2006-07 season by Alpella Istanbul. Signed for the 2008-09 season by Trabzonspor. Signed for the 2009-10 season by Pinar Karsiyaka Izmir. Played there till the 20011-12 championship. 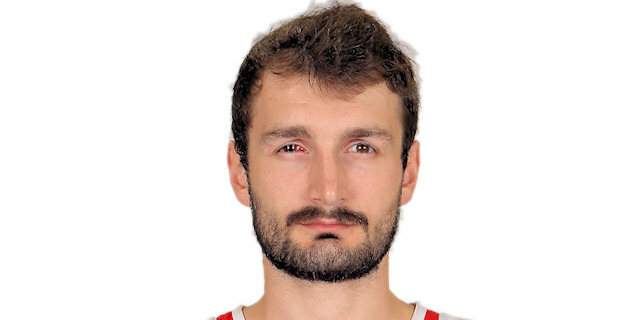 Signed for the 2012-13 season by Anadolu Efes Istanbul. Played there till the 2015-16 season. Signed for the 2016-17 season by Darussafaka Dogus Istanbul. Won the 2015 and 2018 Turkish National Cup with Anadolu Efes Istanbul. Played the 2011 Turkish All Star Game. Named the 2011 Turkish Al Star Game MVP. Played at the 2007, 2009 and 2010 European U-20 Championships. Won the gold medal at the 2013 Mediterranean Games.